As another year departs, there has been a steady flow of news reports charting the demise of AM radio across Europe, as more and more broadcasters move to DAB/DAB+ digital radio and online. Today is the last day of broadcasting on Long Wave for Germany's DeutschlandRadio, which is closing its output on 153 and 207 kHz (Deutschlandfunk/DLF) and 177 kHz (DeutschlandRadio Kultur) ahead of a shutdown of its other AM transmitters in 2015. The broadcaster is putting an emphasis on digital radio and FM for its future distribution arrangements. It has been steadily building its FM network in recent years, including acquiring some former BFBS FM frequencies; meanwhile DAB digital radio continues to grow across Germany, with the relatively recently relaunched service, which uses the DAB+ broadcast standard, now available on 5 million DAB+ radio sets in German households. As in the UK, more and more car manufacturers are including DAB/DAB+ in their radios. AM switch-offs are gathering pace in Europe. At the beginning of the year, Russia quietly withdrew Long Wave broadcasts, and Ireland's RTÉ recently revised its Long Wave switch-off schedule: it plans to gradually reduce Long Wave transmissions over the next two years. Reports about a closure of Poland's Long Wave service were recently denied. 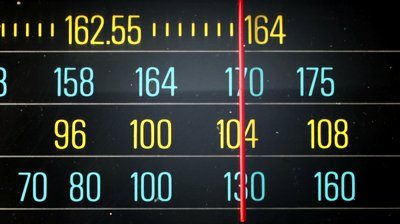 All the while, more and more Medium Wave broadcasts in Europe are being scaled back, and the BBC recently relaunched its Medium Wave switch-off trials. Meanwhile, back in Germany the next AM switch-off is scheduled in two weeks when Northern Germany's NDR closures its medium wave service, making NDR Info Spezial digital-only from 13th January 2015. The station is the home of the German Shipping Forecast ("German Bight" = Deutsche Bucht) and NDR is redirecting sailors to DAB+ and online broadcasts. The Shipping Forecast continues on 1269 kHz via Deutschlandfunk until that is switched off at the end of 2015. This is part of an occasional series of articles featuring developments in Europe of interest to UK readers.